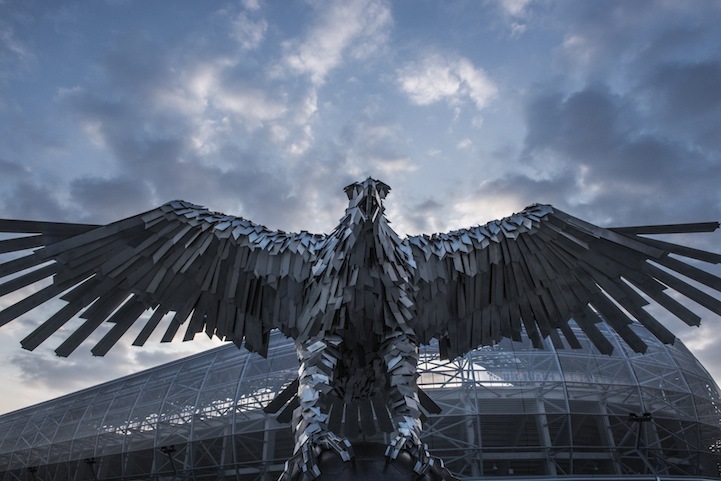 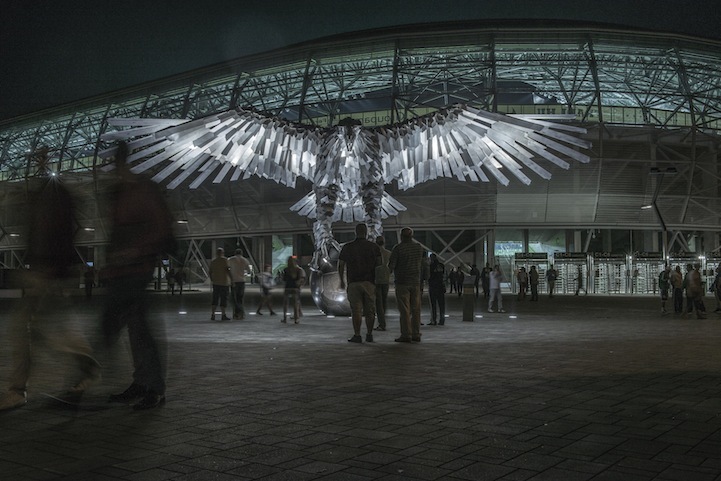 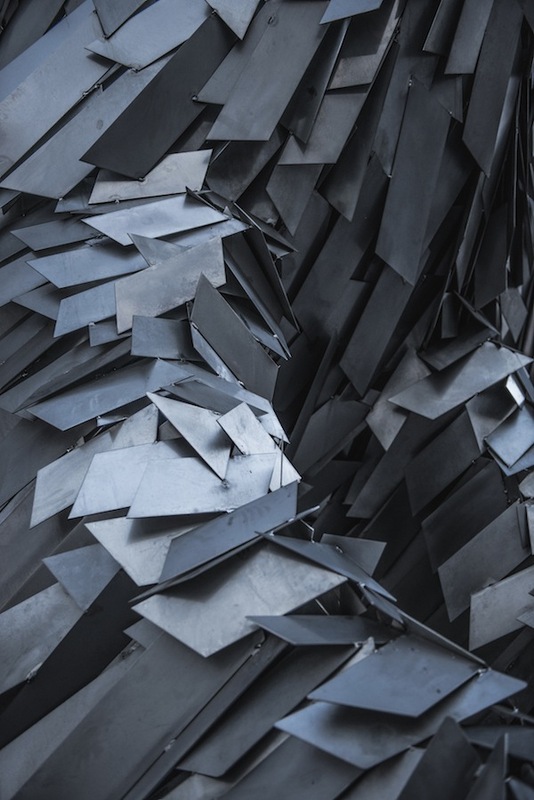 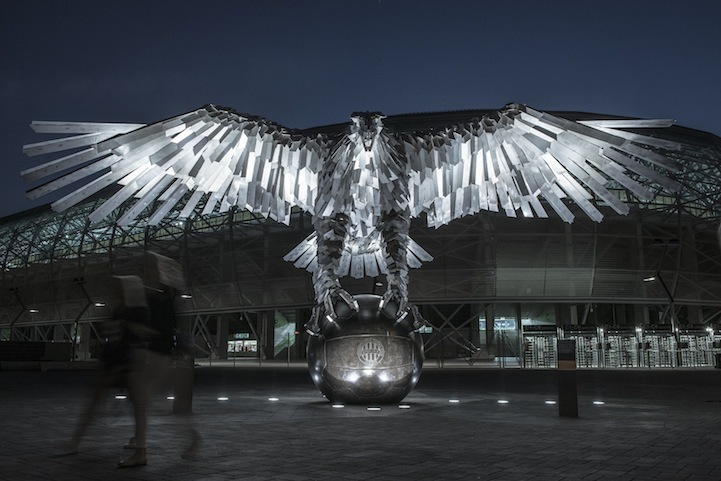 Hungarian football club Ferencvárosi Torna (FTC) commissioned artist Gabor Miklos Szoke to produce this magnificent, 8m tall, 15 tonne stainless steel eagle sculpture outside their stadium, the Groupama Arena. 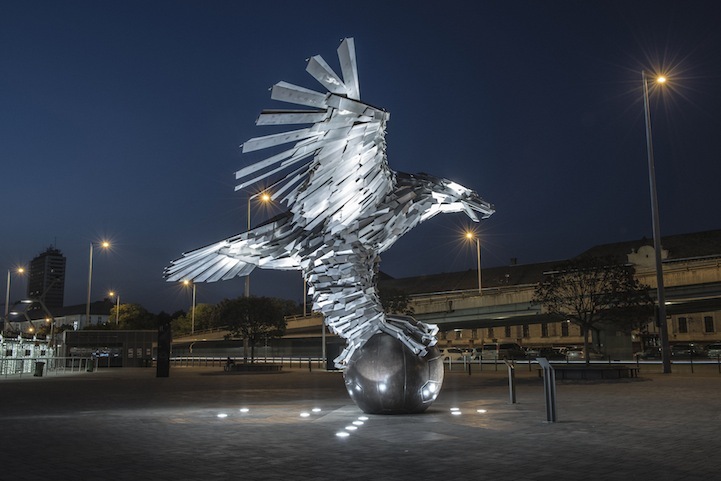 The design by Gabor Miklos Szoke, composed of 5000 metal prisms with a 15m wingspan, is said to be the biggest bird monument in Europe. 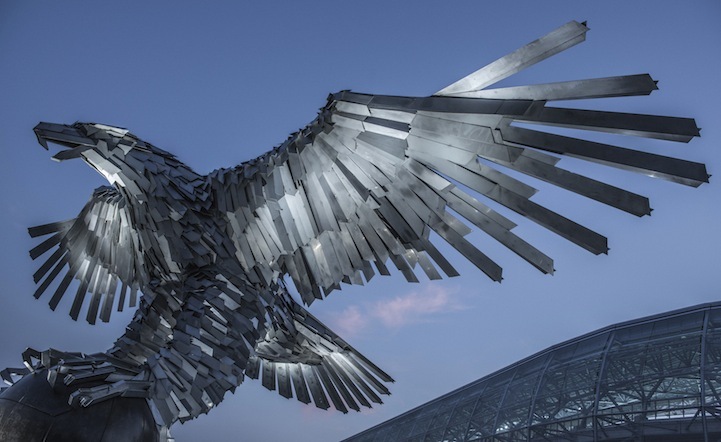 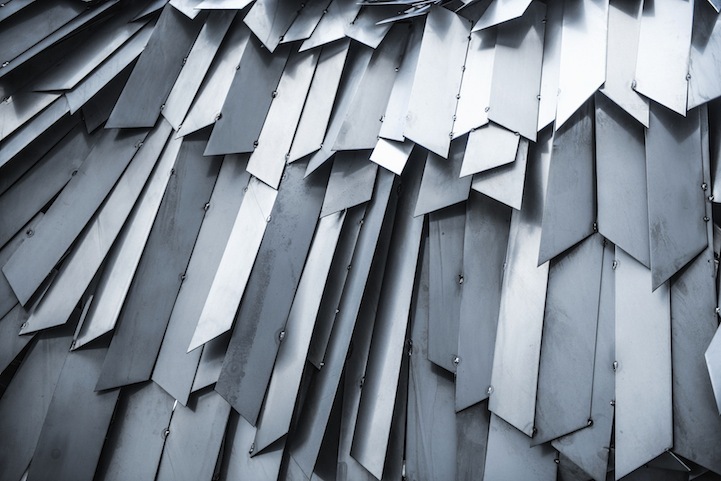 It was his first time using stainless steel and it was also the biggest monument he had ever created.